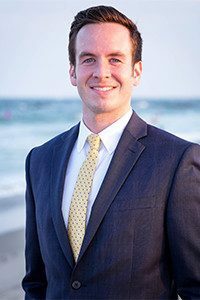 Brendan Mullooly is a CERTIFIED FINANCIAL PLANNER™ professional and Investment Adviser Representative with Mullooly Asset Management, Inc.
Brendan received his Bachelors Degree from York College of Pennsylvania in 2012, and joined his father in the family business soon afterwards. In 2017, he completed Fairleigh Dickinson University’s Financial Planning Program. Upon completion of Fairleigh Dickinson’s program, Brendan sat for and passed the rigorous CFP® Board exam to obtain the CERTIFIED FINANCIAL PLANNER™ designation. Brendan works directly with the clients of Mullooly Asset Management to develop and constantly refine their comprehensive financial plans. He likes to remind clients that financial planning is an ongoing process, not an event. As life unfolds and situations change, a client’s financial plan should evolve too. Every investment portfolio that Mullooly Asset Management, Inc. puts together is in service to an overall financial plan. 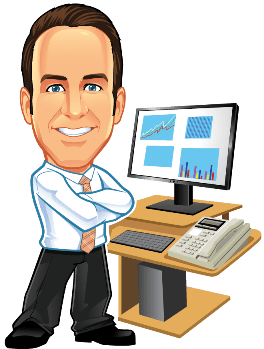 In addition to financial planning, Brendan helps research and analyze investment strategies, funds, and solutions that make their way into client portfolios. Brendan has developed a love for blogging about finance and investing. Some areas that Brendan enjoys covering include behavioral finance, market history, and investor psychology. He has been quoted in such publications as The New York Times, MarketWatch, Yahoo Finance, and US News. Brendan was also named one of the Top 50 Financial Advisor Bloggers by Michael Kitces of the Nerd’s Eye View Blog. When not working, Brendan enjoys rooting for the Mets and the Jets. A fitness enthusiast, he loves running the Monmouth County Park System trails and practicing yoga.